The Premium Line is a retail quality sock – the exact same product Strideline was founded on. 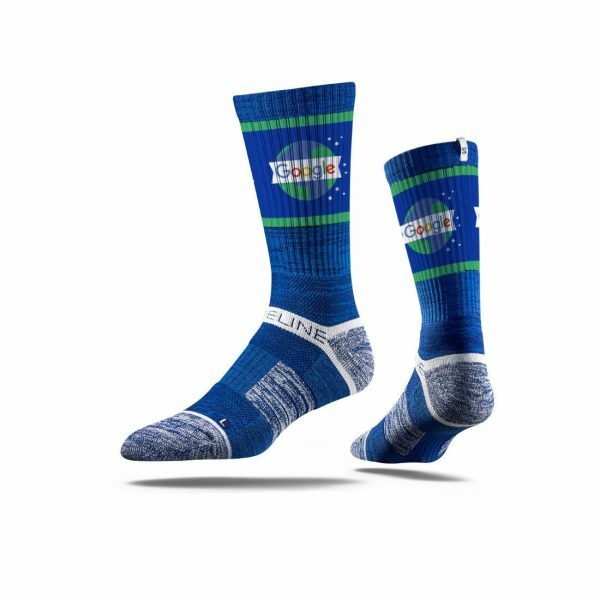 It features a padded footbed, compression calves, and Strideline branding across the heelstrap, as well as an S tag on the top of the sock (where applicable). The Strideline name on the product ensures that you’re getting the best of the best. The Premium range is made from a proprietary blend of combed terry cotton (87%), micro polyester (12%) and spandex/ polyester (1%) and sewn on terry machines, 144 point needle machines. Sweat wicking and anti-microbial in the footbed. Double elastic, to stay up on calf. Micropoly/nylon up top to stay breathable. You need to choose this sock if you are going to be wearing your sock a lot and it will be high impact use. It is run through the knitting machine one more time than the Classic sock which means it is the thickest sock you can get and provides the most cushioning.